Premium, gourmet non-meat healthy snacks to enjoy along with your jerky. For our vegetarian friends, try our smoked cheeses, smoked pistachios, fruit and nut Snack Mixes or Kona coffee beans, considered by many to be the best beans in the world. 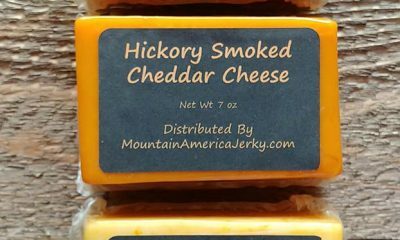 Hickory Smoked Cheddar, Hickory Smoked Pepper , Hickory Smoked Habanero Jack and Hickory Smoked Peperoncino Asiago Con Chili Pepper. (Not shown in image) Our smoked cheese makes an irresistible omelet, grilled cheese, or any-time snack. 7 oz block. 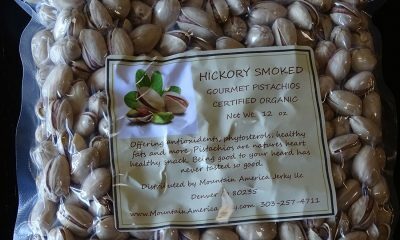 Certified organic pistachios. Temporarily out of stock.